The Breakfast Club – Brighton Business Networking are a range of different businesses from Brighton, Hove and the surrounding towns and villages of Sussex. For details of the current membership visit our members page. We refer business leads to each other through the most powerful form of marketing which is word of mouth and provide each other with business support, advice and guidance. We are a not for profit members club for businesses. There are no joining fees. You just pay £45 per month which pays for your breakfast each week. We have an exclusivity policy which means that when you join you lock out any potential competitors. We meet every Tuesday morning at 7.15 am at The Courtlands Hotel, 19-27 The Drive, Brighton & Hove, East Sussex, BN3 3JE and the meeting finishes at 8.45 am. As long as your business doesn’t clash with an existing member you will be welcome to attend up to 2 of our meetings as a guest before making a commitment to join. People buy from people they know, like and trust. The informal, relaxed, professional and friendly environment we create enables members to build mutually beneficial relationships. Regular personal contact results in higher quality relationships and naturally leads to members trading with each other and recommending services to friends, family and other business contacts. 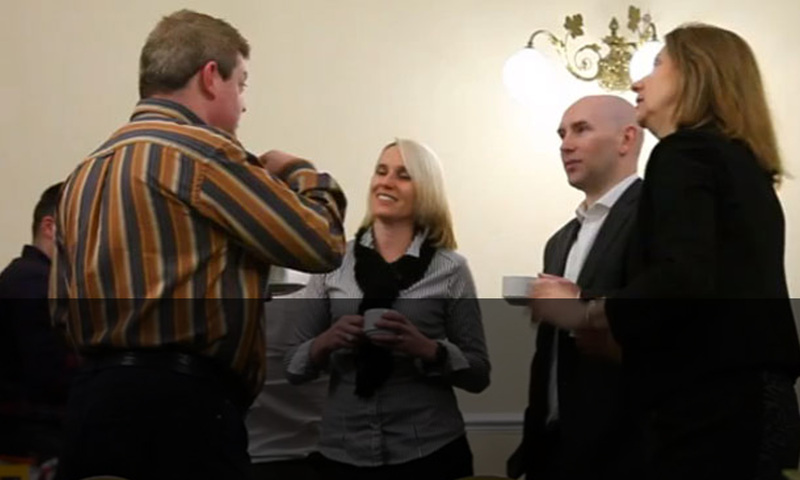 In addition to gaining business referrals you can also make new friends by attending our social events. Another significant benefit is the opportunity for Personal Development and confidence building as you get to practice speaking in public in a friendly and supportive environment. If you are considering networking as an integral part of your marketing strategy and want to benefit from gaining new business referrals, developing lasting relationships and learning from the other members in a supportive environment please call 01273 458451 or send us an email so that we can invite you to a meeting. The Breakfast Club meets every Tuesday morning at the Courtlands Hotel in Hove, Brighton. Guests are welcome to come along to any Tuesday meeting but we ask that you contact us first to request attendance and check member exclusivity. A guest fee of £10 is payable for breakfast on arrival. If you would like to join our networking group there is a monthly fee to cover the cost of the breakfasts of £45, payable by standing order. There are no other fees to be paid. The networking group is run by the members for the members. A great way to start the day. The Breakfast Club meets every Tuesday morning at 7.15am until 8.45am at The Courtlands Hotel, 19-27 The Drive, Hove BN3 3JE. The Breakfast Club operates an exclusivity policy, therefore please check your trade against our members list to see whether your trade conflicts with a current member, before requesting attendance. Comments and suggestions are welcome.